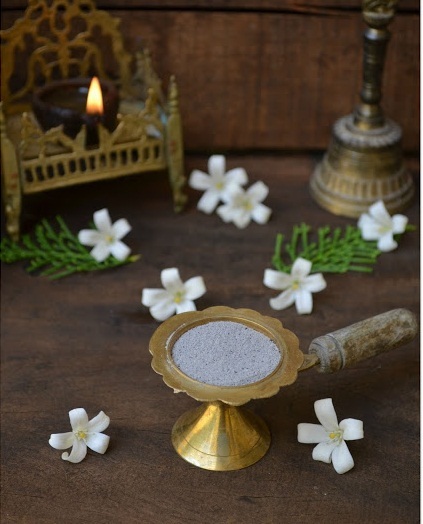 Vibhoothi/ Holy Ash is sacred in Hindu Tradition and now due to the change in lifestyle the whole scenario is changed. The word VIBOOTHI means Higher wealth or Priceless precious material. The viboothi is to be made using Desi cow dung and herbs, which on applying on forehead and body , will protect our body from diseases and negatives. Now paper waste and rock powder are being sold as viboothi which causes negative effects in body and mind. WANT TO KNOW THE SECRET BEHIND OUR ANCESTOR'S HEALTH? Our ancestors lived healthy for 90+ ages without going to hospital , consuming medicine ,etc. The secret behind their health is the ASH. Each and every house had minimum of 5 cows, and they used the dried cow dung cake as fuel for cooking, and the remaining ash was used for cleaning utensils, ASH+SALT as tooth powder, for purifying water, as Viboothi /holy Ash for applying in body, etc.,. As we know Carbon /Ash has ANTI BACTERIAL property, there for no way for them to get any disease, as they consumed, used and lived in this ash filled area. 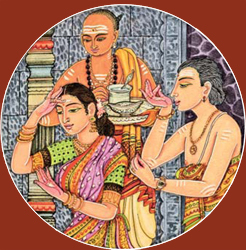 The viboothi applied in the body protected them from negatives. Pure viboothi, is prepared by the performing homa using Country breed cow's Dung,Gomiya,Milk,Curd and Ghee(Panchagavya), along with the herbs such as Holy basil leaves(Thiruneetru pathiri) and Vilva fruit on the eve of SHIVARATHIRI every month. To make the holy ash, cow dung is made into balls, flattened and sun dried well. Then on an auspicious day they are layered with karukkai and hay till they are about 6 to 7 feet in height. After the prayers and chanting, fire is lit, it burns for several days. 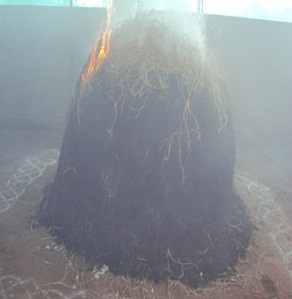 The hay retains the heat and the karukkai prevents it from burning instantly which results in white ash which is collected after several days. But to make the vibhooti, cow dung that is got from organic grass fed native cows should be used. Viboothi can be mixed with water and applied on forehead , joints ,etc.,after taking bath , in the morning and evening. JUST A STREAK OF VIBOOTHI ON YOUR FORE HEAD WOULD MAKE YOUR DAY HEALTHY , STRESS FREE AND POSITIVE.